New Video: My First Impressions Of The Medtronic Guardian Connect | Life, Sport and Diabetes - An everyday look at my life with type 1 diabetes. 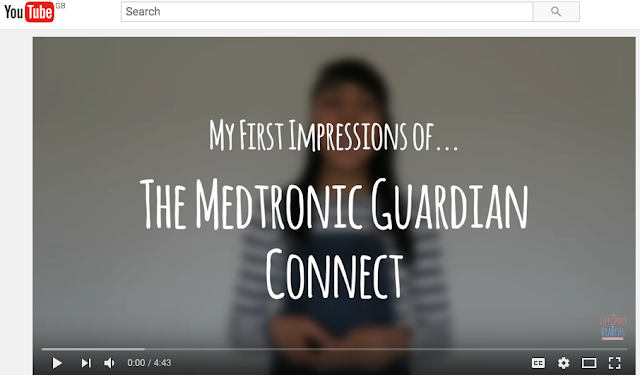 If you head on over to my YouTube channel, you'll be able to see my newest video on my first impressions of the Medtronic Guardian Connect. Where you'll be able to get a closer look at the transmitter, as it's so small I forget that I'm wearing it! I'll be posting a video every week about how I'm getting on, so remember to check back in or click 'Subscribe' for updates!